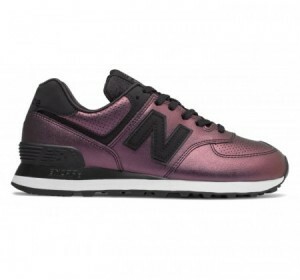 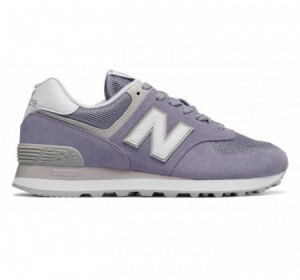 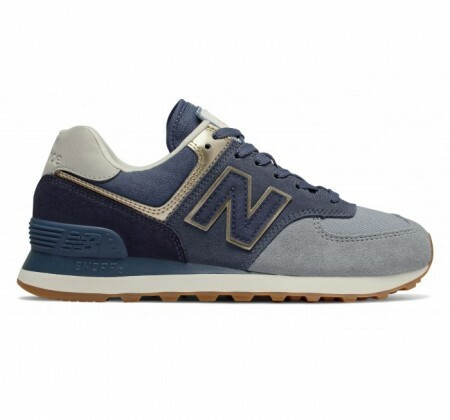 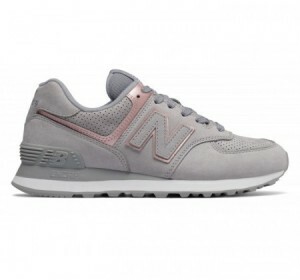 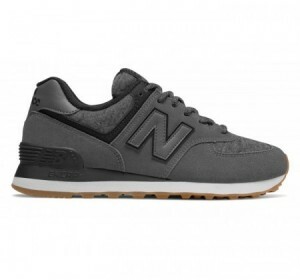 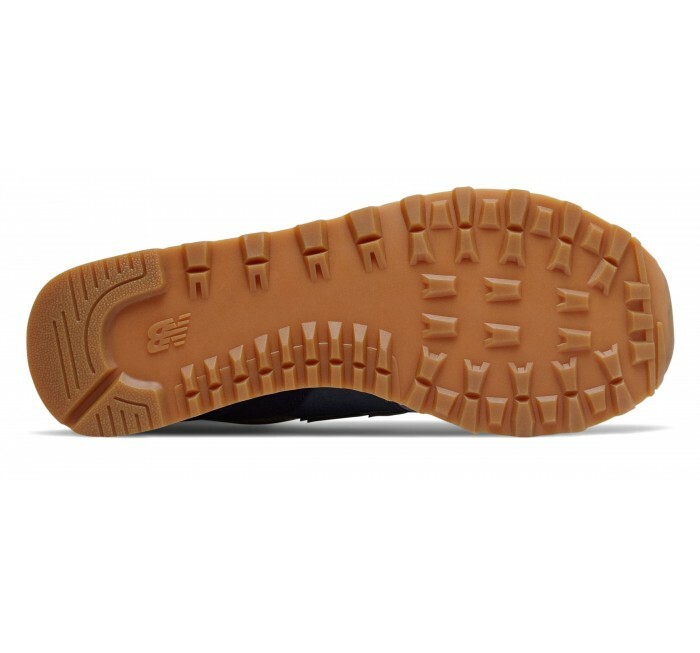 Add a bit of high shine style to your everyday look in the women's New Balance 574 Metallic Patch. 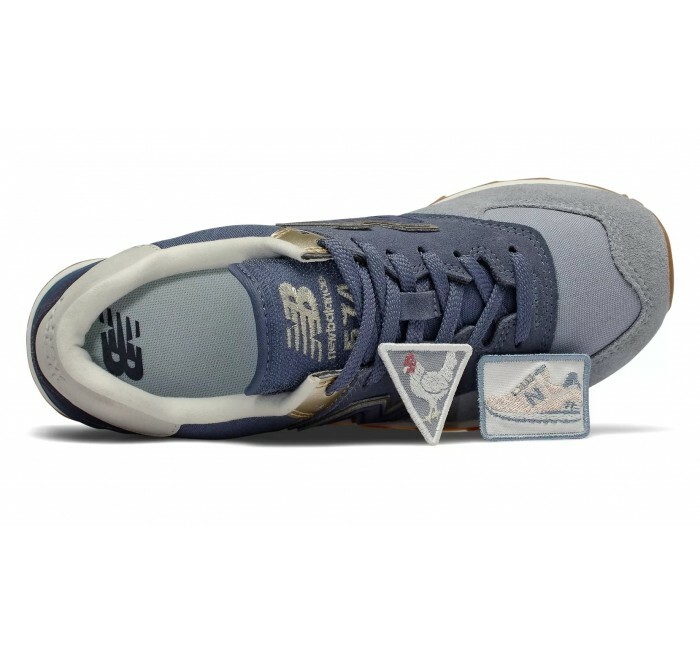 This commemorative edition comes with interchangeable brand patches for each tongue, so you can customize your sneaker style every day. 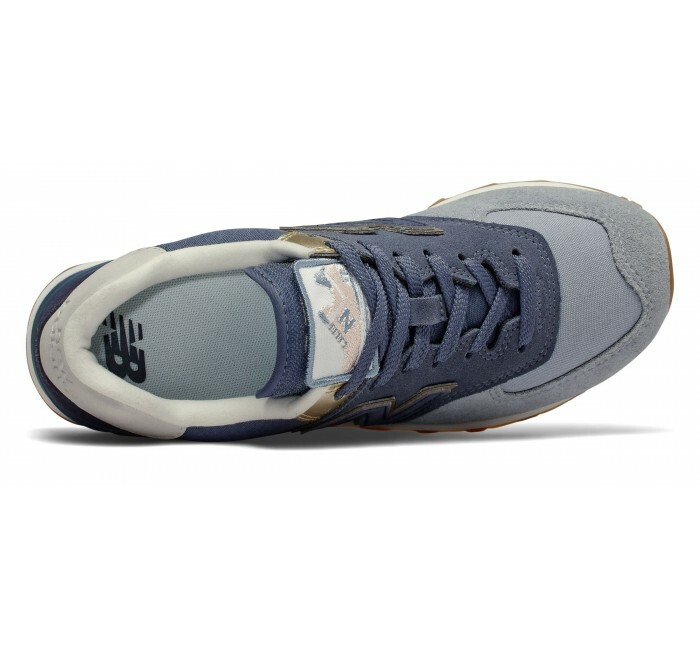 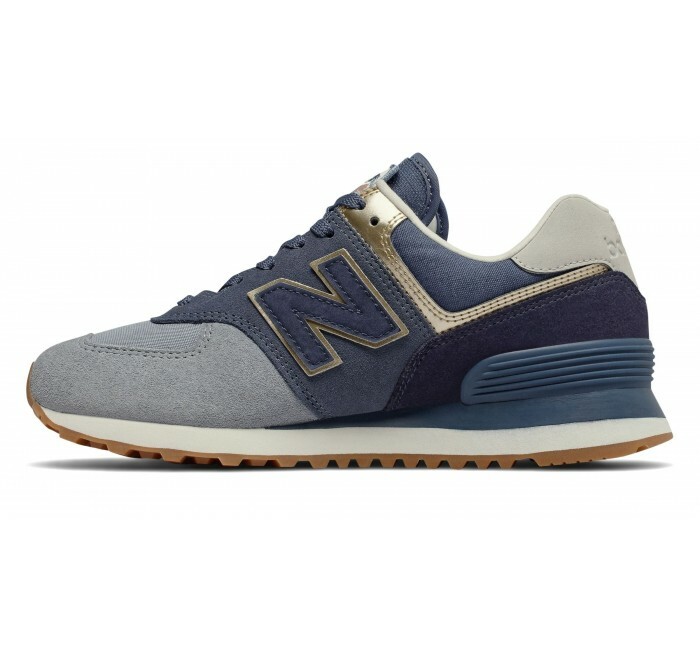 Created in 1988 by combining 2 different NB sneakers (we like to call it the original mashup), the 574 has become a symbol of ingenuity and originality. This 574 rendering for women features light gold metallic detail and premium materials like suede overlays and canvas at the collar.